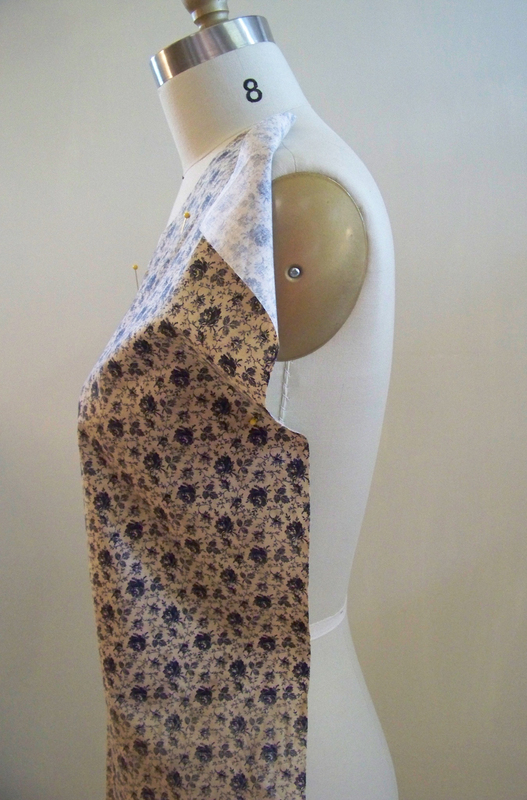 Posted March 31st, 2013 by susannah & filed under Designing, Sewing. 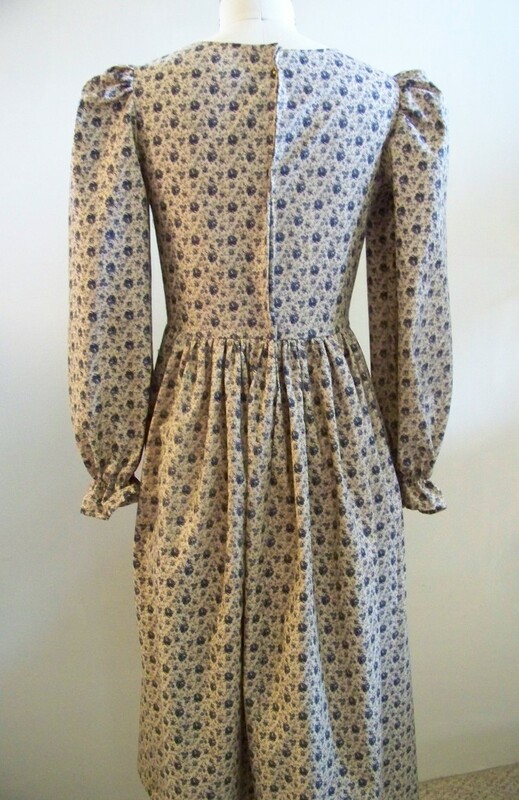 I need to make a Prairie dress for background dress form. I can make one quicker than buying one and having it shipped. I love doing this kind of work. In the real world of fashion, I have no idea what I’m doing. Meaning, I have no language or vocabulary or official technical training. 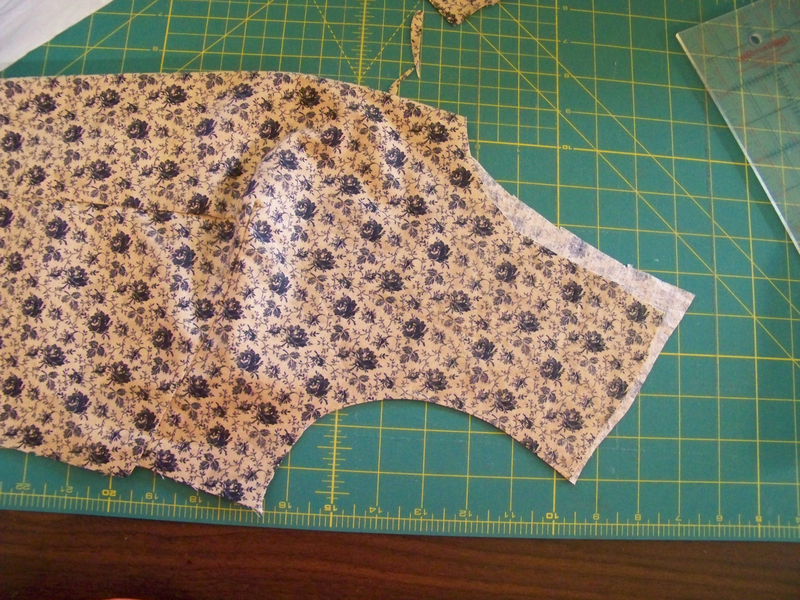 I just have Grammy’s voice, ” Put it on and pin it in place.” So I start with the bodice. I pin the fabric in place and cut a 1/2 inch past the seam marks for seam allowance. 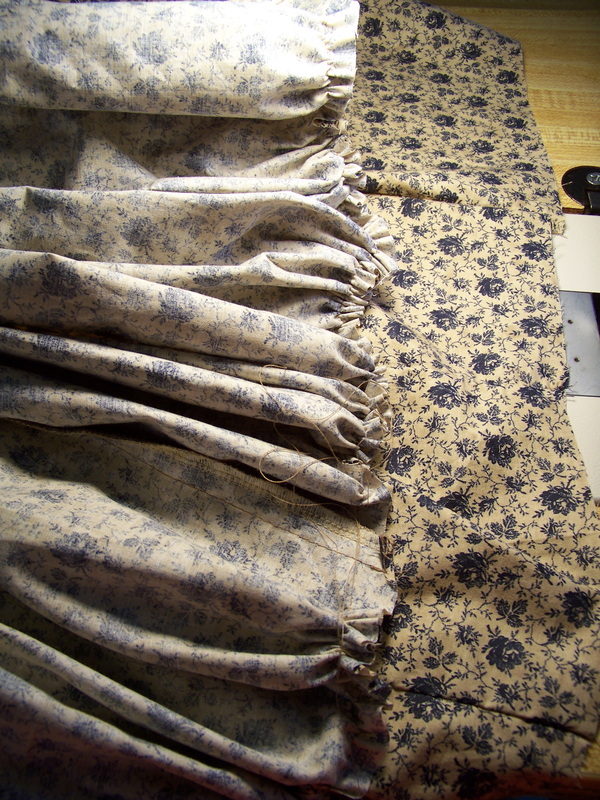 I tuck up fabric for darts and pin them for pressing and stitching. Matching both sides is a good thing. I pin midriff darts the same way as bodice darts. By the way, I can sing along with most show tunes while I work with the dog still wagging her tail, until Julie Andrews comes on. She is the James Brown of show tunes. Meaning, never Karaoke a James Brown or Julie Andrews tune. It will never be a good thing. I need music to work, usually classical, broadway, jazz, celtic, anything stings, or anything Botti or YoYoMa… or Alison Kraus, of course Buble…..ok…. 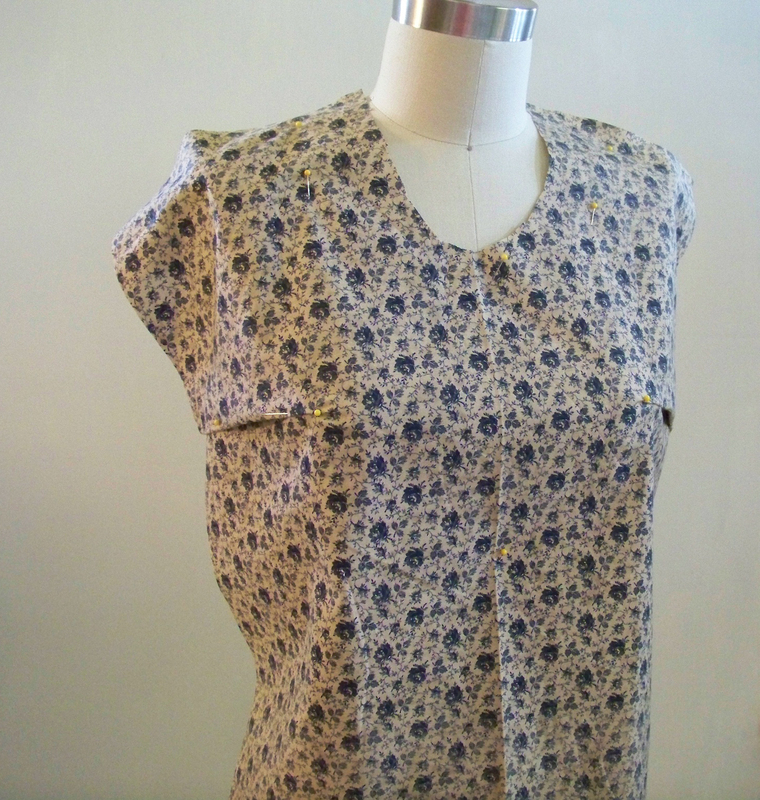 back to dressmaking. I’m glad you can’t hear me belt out Les Mis. I left fabric long enough to make a decision about waistline shape and placement. That way I will have fabric hanging there for playing. Here I need a traditional look, this is when I have to do what we need me to do and not what I want to do. So traditional, straight across the waist it is. So I cut off everything except a 1/2 seam allowance for a proper waist. Not fun or exciting but meeting the need of the moment. My amazing hand cutting is not always perfect so I fold the bodice in half and clean it up. Not exactly Project Runway….:)….. I’m told this is Back Alley dressmaking…let’s face it, this is what women did in their homes for centuries before we had Project Runway. Here I am using the front bodice to guide the shape of the back bodice. Armhole needs to be a little wider and an inch on a back seam for the zipper. “Wouldn’t it be quicker to use a pattern?”, I have been asked. Nah. I forgot to shoot the sleeve cutting process. It’s pretty much hand cut roughly as well. But now the skirt… the question is how long should it be? Simple answer, it needs to be longer than the aprons that it will display. Putting one on will help the measurement process. 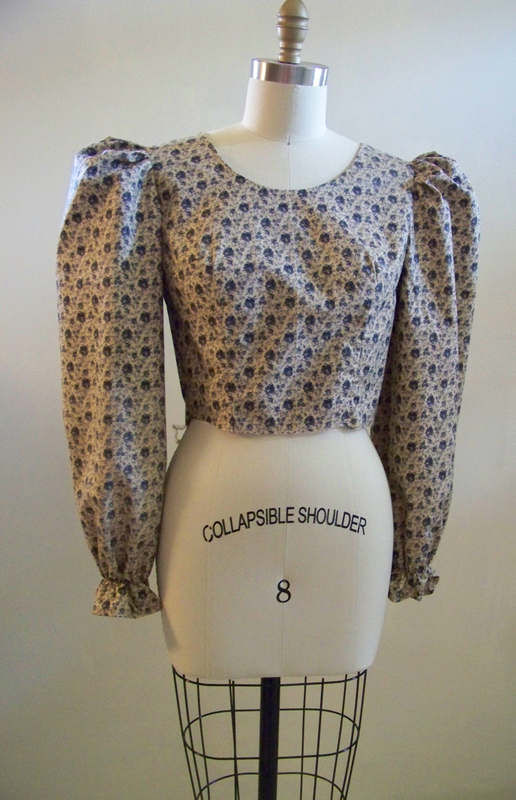 Once you have a finished bodice, the rest is easy. 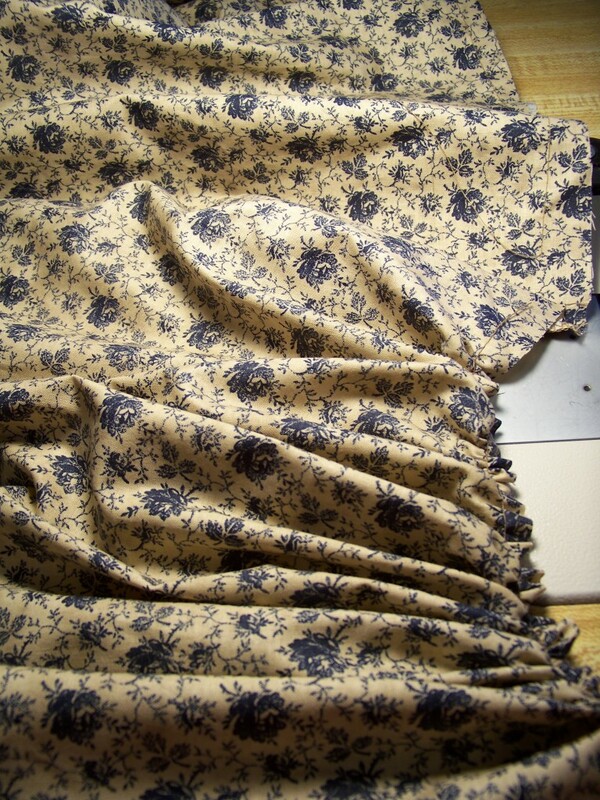 It’s already looking pretty good, I’m inspired to make a matching bonnet….:).. A bonnet with old looking lace. …. 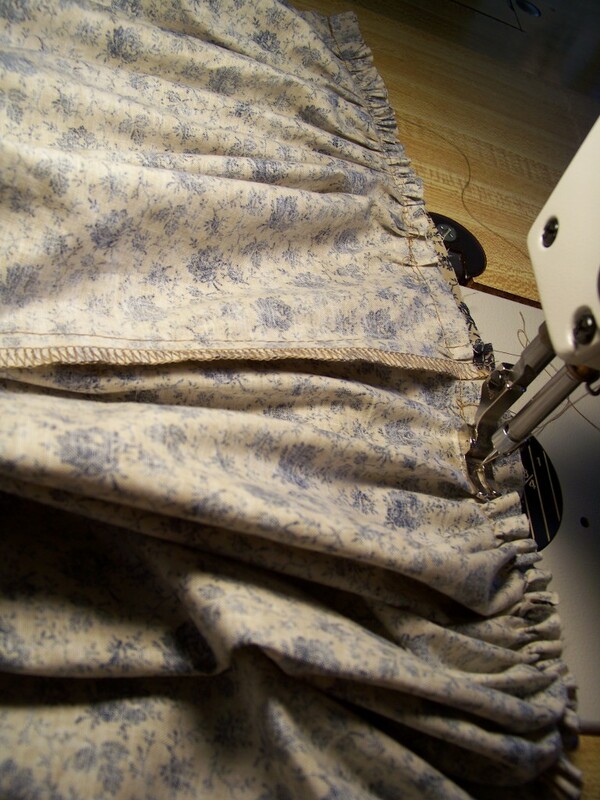 not now though…..Now I can see the skirt needs to be cut at 36″. So I cut 2 fabrics widths a yard long each. I stitch a machine basting stitch but hand gather. I have to hand gather. Nothing beats that. Especially since you want the outside hip area to have less gathers and you can’t adjust like that on a machine. My lovely hand gathered skirt pieces ready for the perfectly prepared bodice. Stitching the skirt to the bodice is the best seam for me. It’s when I get my first glimpse at what the dress will look like when finished. I machine stitched a straight hem. And voila! I love it. It’s perfect for what I need. Here is a shot of the back. It’s pinned where the zipper needs to go. I will put one in later. (seamstress are laughing everywhere). No one will notice in the photos. 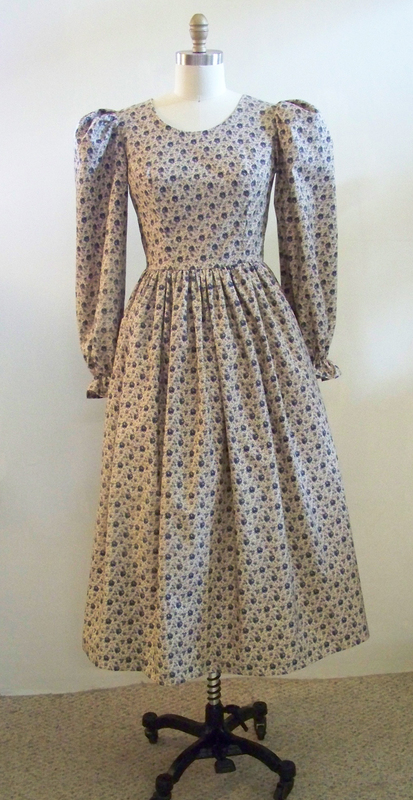 Here is the final dress with a light petticoat underneath. And we are done and ready for pictures! Thinking of it, this same process may work for the wedding line. I did not make a pattern, unfortunately. 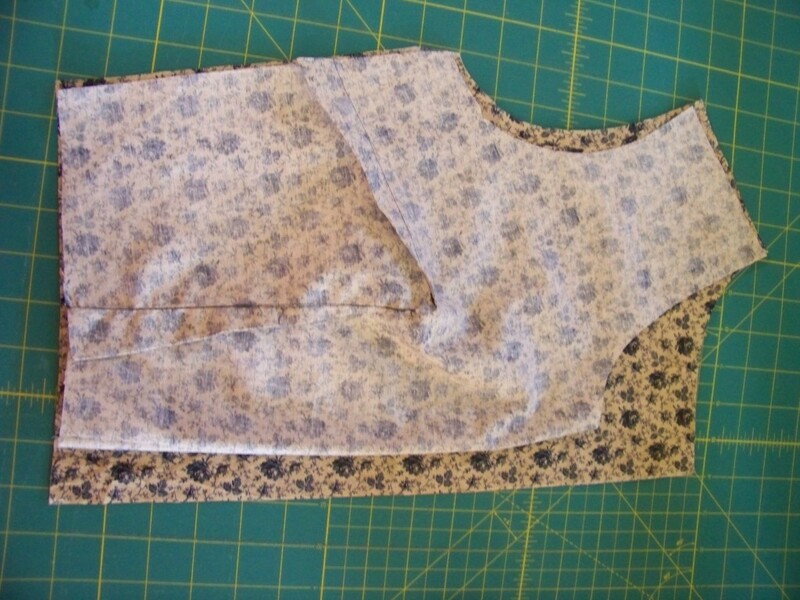 I cut and fit as I went to use it as a display dress for period Aprons. We do have a pattern for the Prairie Bonnet but it is part of Vermont Apron Co. and isn’t for sale. If you need historical patterns, I think there is a fair share of companies doing that. My suggestion is to google the term, historical patterns. Good Luck!…:)….ohm there is also a site called Vintage patterns, I would also google that as well. Susannah, this post is so great! 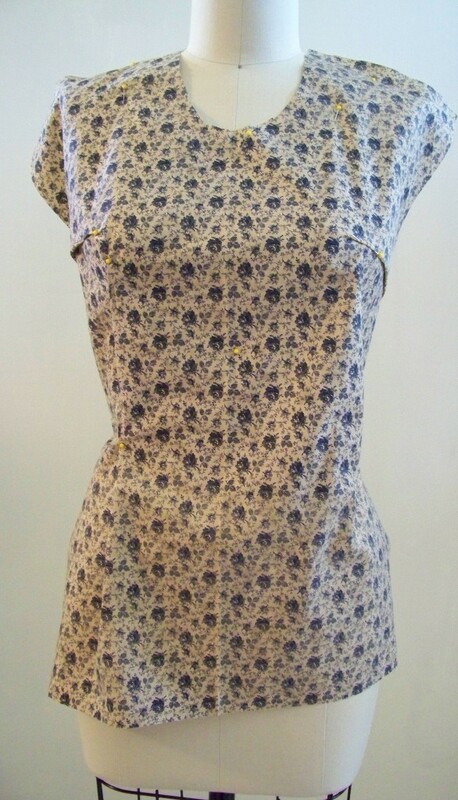 I can’t believe you just took a piece of square fabric, pinned it to the dressform and cut out a dress, just like that! It was so great to see how you did it! Is it possible to explain how you did the sleeves? I know you said you didn’t take pictures, but can you explain? How did you know how much fabric or what size to make the sleeve? 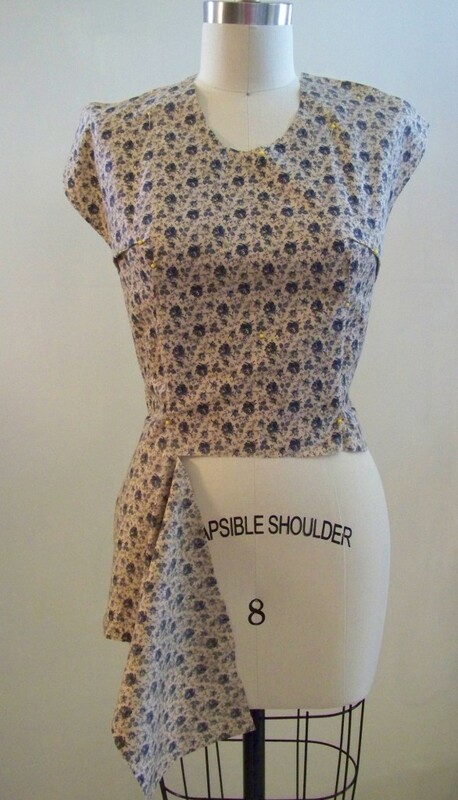 I’m going to try my hand at “backalley” dressmaking now. Too cool!